Lemongrass & Lavender Sun Cream 120ml – When planning a day in the sun, a mineral based sun protection cream is a must. My natural, gentle and effective zinc based sun cream will reflect away UVA and UVB rays to keep the skin safe. I purchased this kit to bring on a trip to mexico with me. It was pure heaven! Plus the products made my skin simply radiant. What I love most about Helena’s skin care is the simplicity. 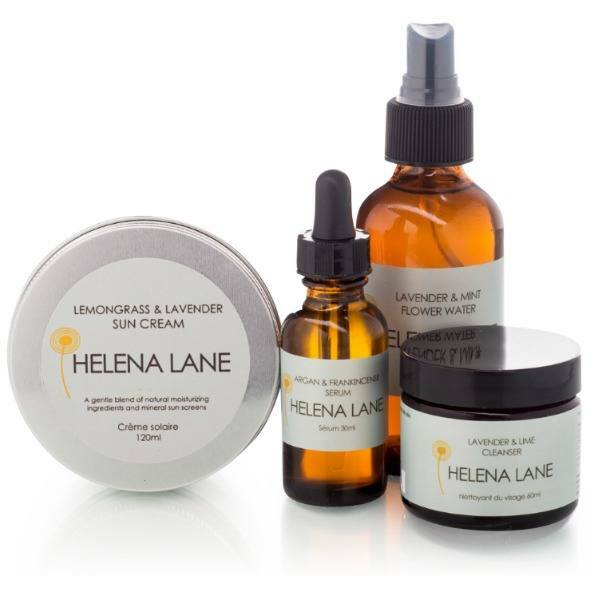 When I switched and starting using Helena Lane, the time I spent taking care of my skin was literally cut in half. However I am now achieving way better results with my skin even though I am taking half the time and half the products. Which also means I am saving a lot on purchases. Lastly, this is the only natural sunscreen that I have ever found that does not leave you skin all white. It smells fresh and rubs in really nicely.